Despite a crazy hard south wind and a super high tide we caught some nice ones. Several slot fish and some smaller ones. Lots of break offs in the bushes with the high water. 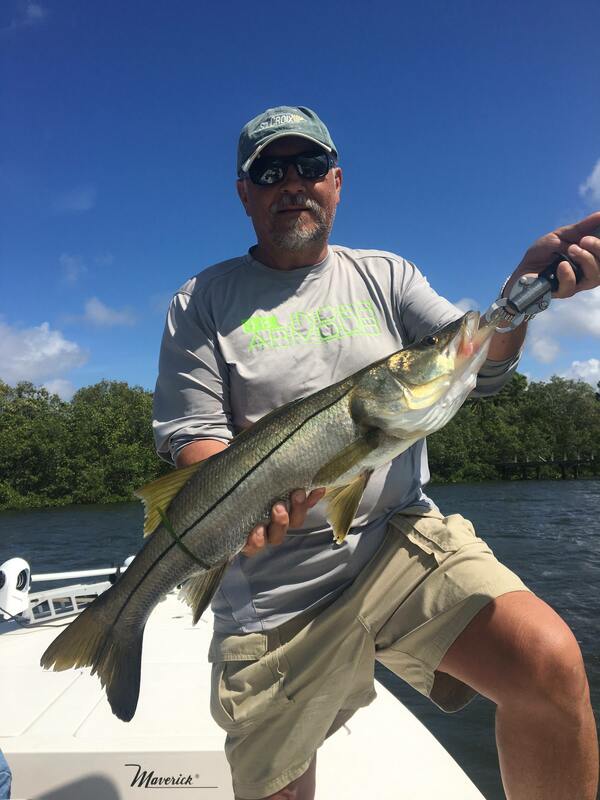 All snook were released. The guys kept 2 trout for dinner.